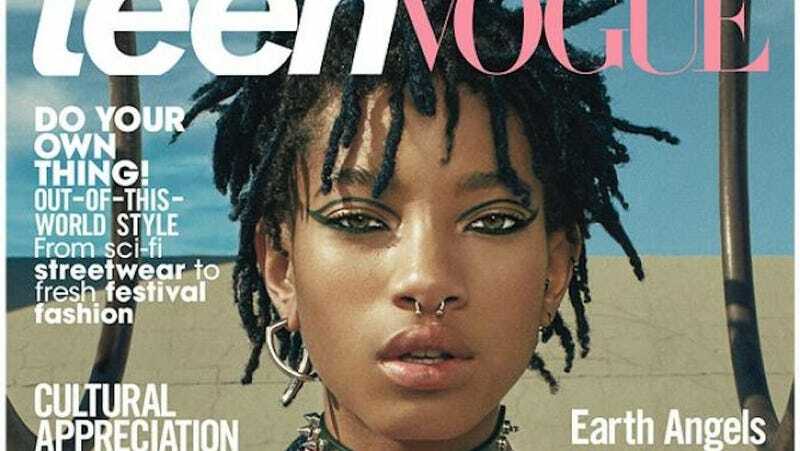 Teen Vogue, long the possessor of some of the best styling and beauty in any American magazine of its caliber, has gone ahead and put your queen Willow Smith on the cover, where she can effectively hypnotize the masses with cat eyes and udjat eyeliner. Welcome to the present, nice knowing you! Here’s the full incredible cover, and you can check the full piece and great styling right here.